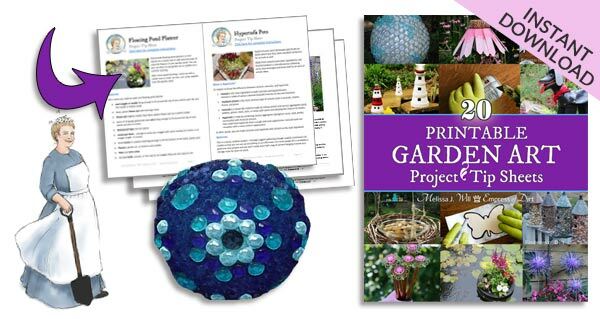 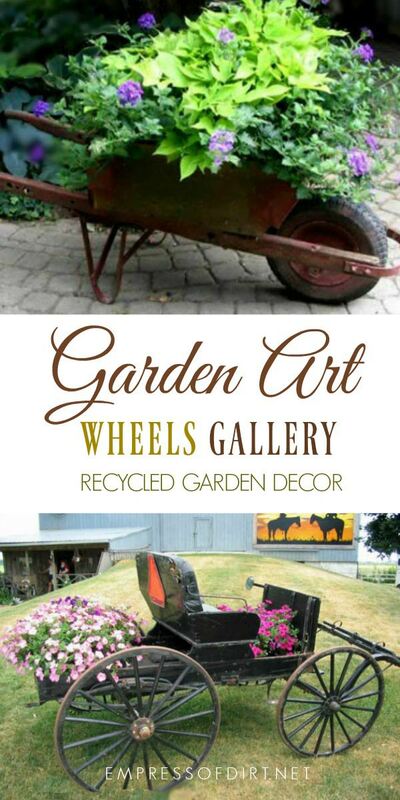 These garden art ideas all have the same theme: wheels. 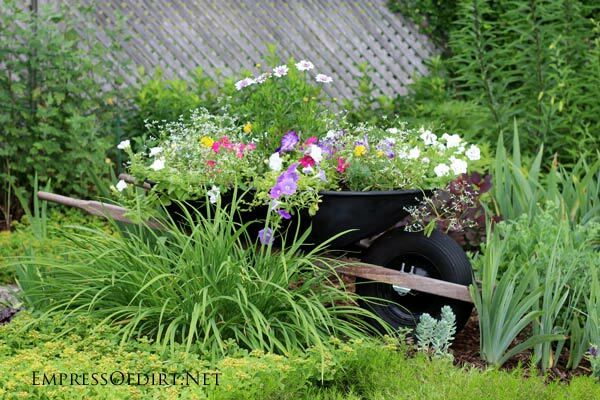 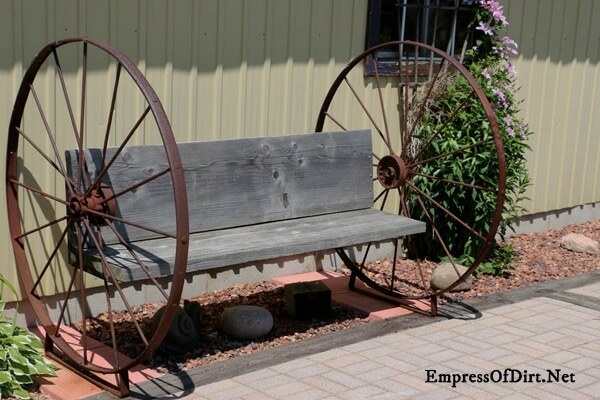 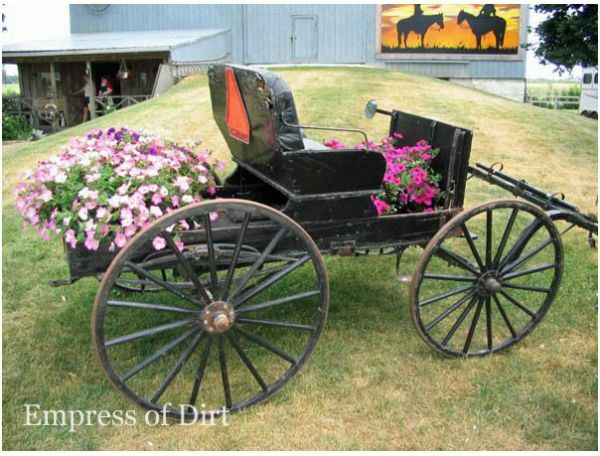 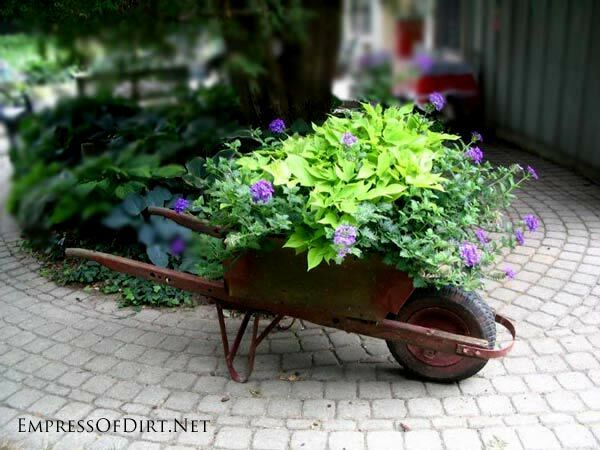 Beyond the typical wagon wheel decor, there are plenty of ways to repurpose wheels in the garden. 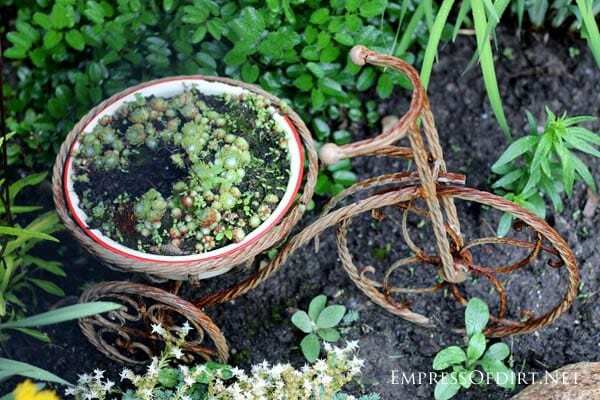 For more galleries, see the Ideas section. 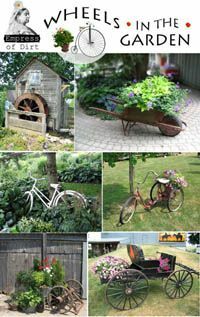 I saw some great garden art containers created with wheelbarrows and bikes this summer so it’s time for an update with some old and new favourites. 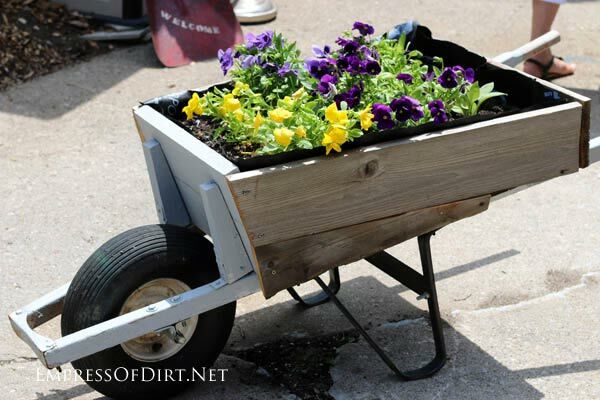 My own stencilled wheelbarrow is still in use. 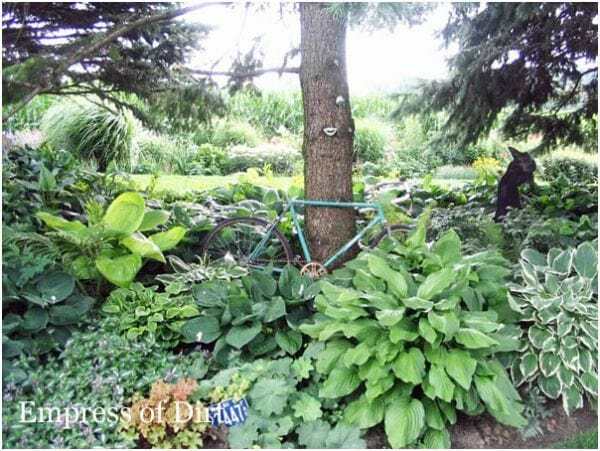 You can see it here. 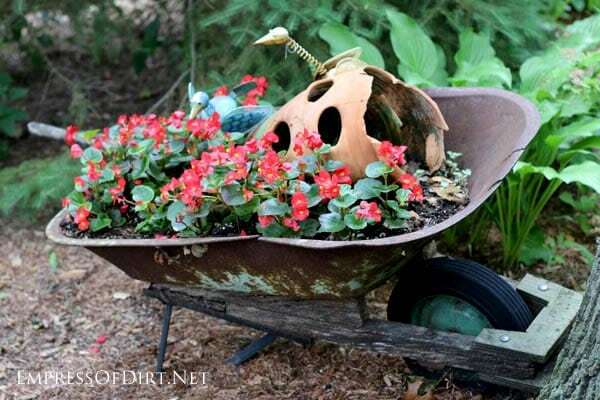 I also found another old wheelbarrow in the trash recently so I think a cool paint project is in my future. 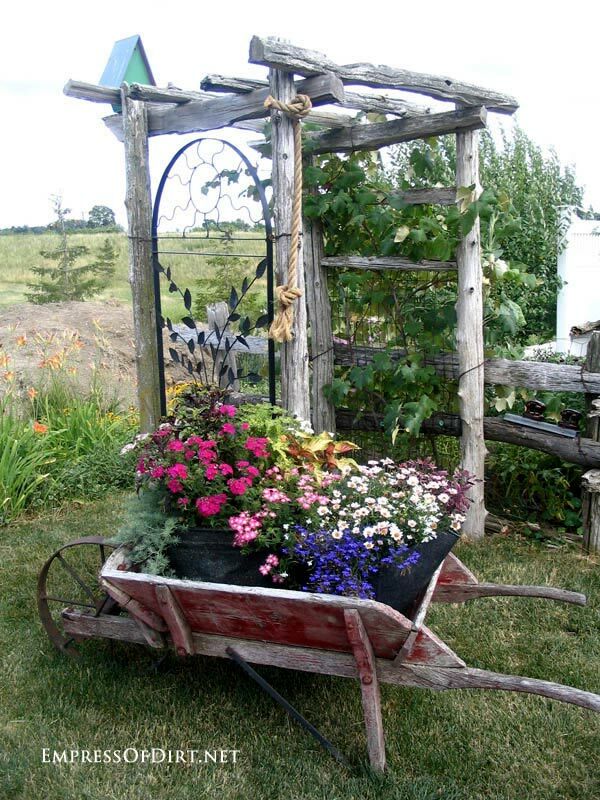 I like the old, wooden wheelbarrows the best. 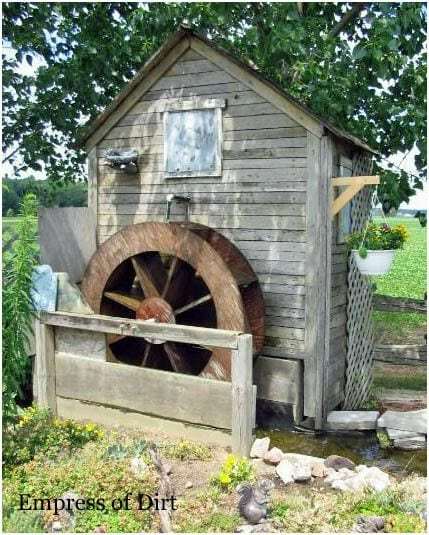 Boy, I’d love to find one of those for a song. 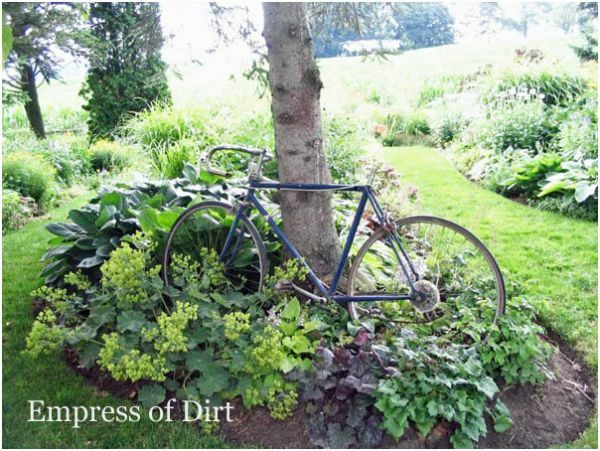 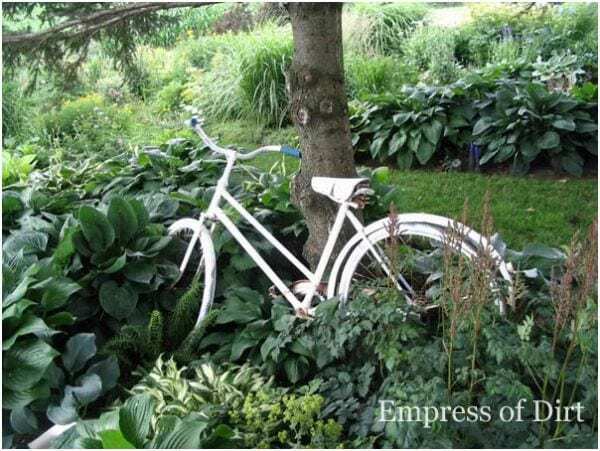 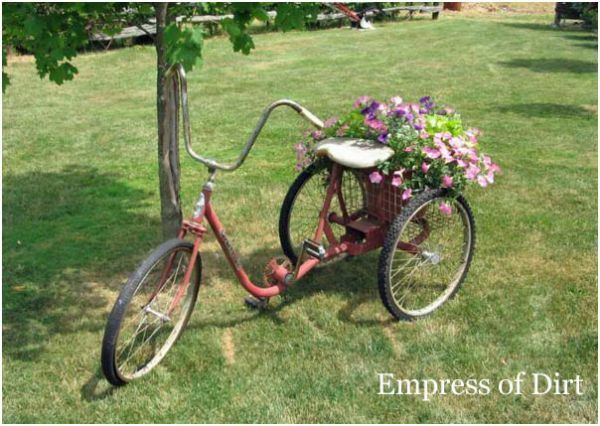 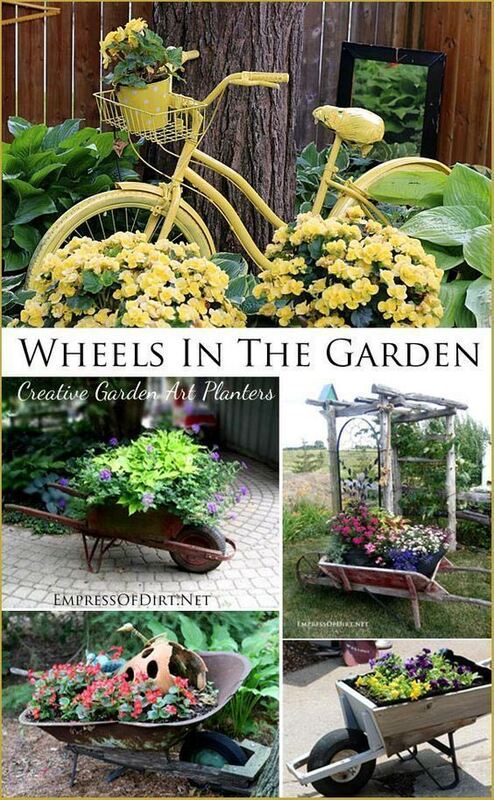 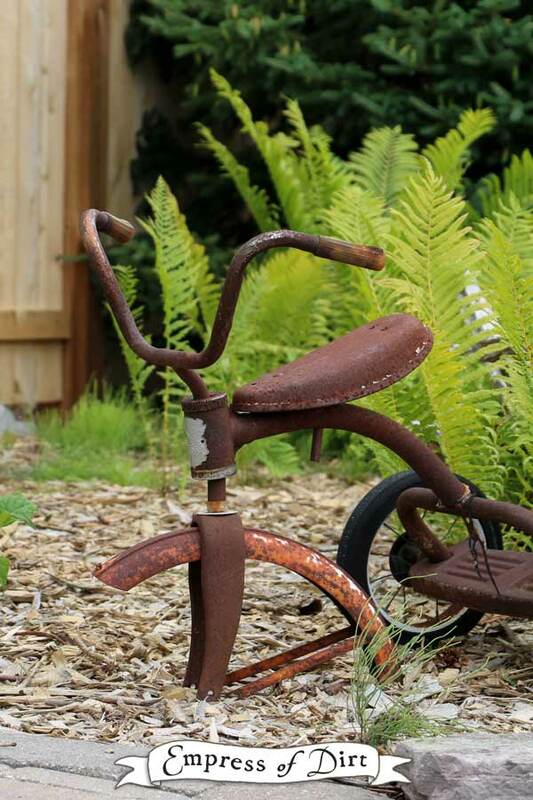 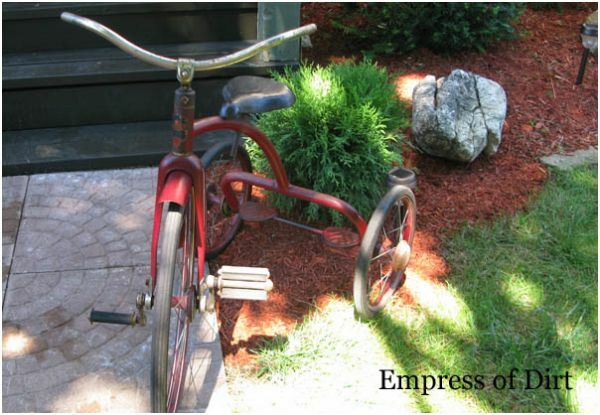 Here’s some examples of bicycles, tricycles, and other wheels in gardens. 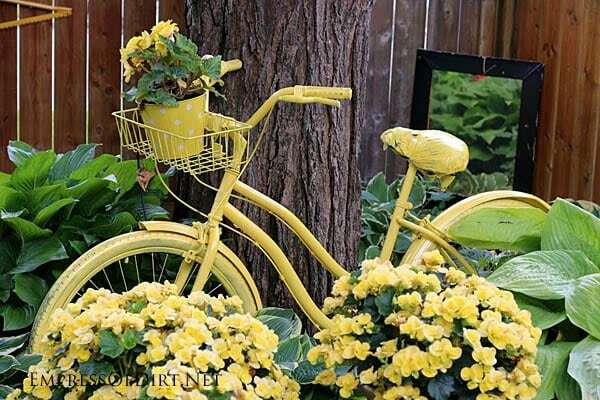 Plant flowers in every bike basket, I say! 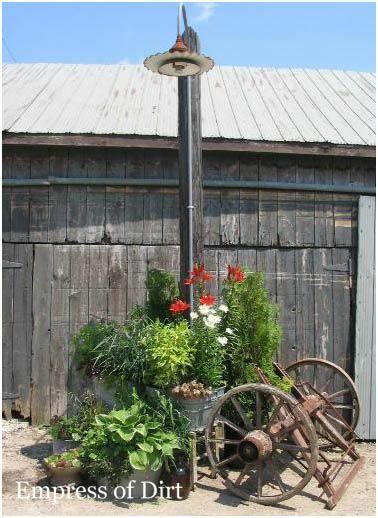 Such good ideas, thanks !